Formerly referred to as shrinkage necrosis, apoptosis is a form of cell death characterized by energy-dependent biochemical mechanisms and morphological changes. Compared to other forms of cell death, apoptosis (cellular suicide/ programmed cell death) is an intrinsic, orderly process that is activated by such stimuli as lack of nutrients and hypoxia. As a result of these stressors, apoptosis mediators are released initiating the process (programmed cell death). In contrast to necrosis, apoptosis is one of the most important processes in higher animals given that is vital for normal cell turnover, embryonic development as well as the development and normal functioning of the immune system among others. * The word "apoptosis" comes from a Greek word meaning falling or dropping off. * In a healthy adult, between 50 and 70 billion cells die daily through apoptosis. * Typically, apoptosis involves single isolated cells rather than clusters. Before the discovery of apoptosis, differentiation, proliferation, and senescence were understood to be the only processes that controlled cell population. The discovery of genes that inhibit apoptosis, however, was evidence that another form of cell death existed. Through further research, it was concluded that in addition to being a regulatable form of cell death, apoptosis plays an important role in controlling cell population. The inability for cells to undergo this process can have dramatic consequences, depending on the type of cells. For instance, in one of the studies conducted on mice, it was shown that the inactivity of bcl-2 genes in mice results in excessive accumulation of B-cells. This, in turn, was shown to increase the risks of secondary and even tertiary mutation. · Removing redundant and damaged cells - In the body, significantly damaged cells that cannot be repaired are eliminated through apoptosis. This also occurs for infected cells and auto-reactive cells of the immune system. · Maintaining a specific number of cells in an organism - With mitosis producing well over 100,000 cells each second in the human body, other cells die through apoptosis, which helps maintain a constant number of cells present in the body. · Homeostasis - Such cells as B and T cells of the immune system and those of the intestinal epithelium are produced in large numbers. In the case of the B and T cells, as many as 95 percent die during maturation through apoptosis. Here, apoptosis plays an important role in check and balancing of the cells in order to avoid autoimmunity. * Although apoptosis is common in all metazoa, it also plays an important role in plant biology and some unicellular organisms that exhibit mechanisms that resemble apoptosis (e.g. yeast). * Defects of the process have been linked to certain cancers, enhanced viral infections as well as autoimmune diseases. On the other hand, excessive apoptosis has been associated with increased risk of ischemic disease and AIDs. As mentioned, apoptosis is a tightly regulated process that plays an important role in cell death. It may be triggered by various intra or extracellular stimuli including damage to the DNA, irradiation, development of death signals or death ligands attaching to the death receptors on the cell membrane, etc. A number of factors are involved in the process and play a specific role to ensure that the process is efficient. These factors, however, vary depending on the signaling pathway. Caspases, initiators, and executioners of apoptosis, play an important role in the mechanism of the process. Intrinsic apoptosis is initiated by a variety of factors, both exogenous and endogenous. For instance, it may be initiated by radiotherapy, intracellular damage (damage to any cell component) as well as other oncogenic stress. In the early phase of intrinsic apoptosis, such stimuli as DNA damage or heat shock (or any other mitochondrial stress) activate caspase-3 or cleave the BH3 interacting domain death agonist (BID). In turn, this results in mitochondrial dysfunction followed by the release of cytochrome c as well as the activation of caspases 9 and 3. During the early phase, these proapoptotic proteins (BID, BAX) have to bind to the outer membrane of the mitochondria in order to signal/trigger the release of its content. This process also requires another proapoptotic protein to ensure the release of cytochrome c as well as content within the mitochondria intermembrane. Cytochrome c then binds and forms a complex with ATP (adenosine triphosphate) and the enzyme Apaf-1 in the cytoplasm to activate caspase- 9. 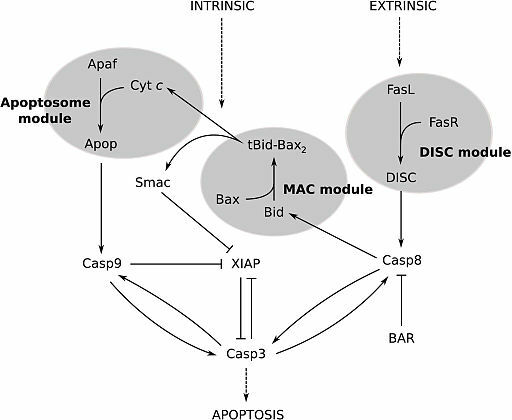 Together with the energy molecule and Apaf-1, cytochrome c forms the apoptosome that is responsible for caspase- 3 and 7 activation which in turn initiates cell degradation (cell death and fragmentation of the DNA). During intrinsic apoptosis, the membrane of the mitochondria is compromised. This is the result of increased permeability and depolarization of the membrane which is caused by the release of calcium ions and other essential factors into the cytoplasm. Therefore, increased permeabilization and depolarization of the membrane of the mitochondria is one of the characteristics of this particular pathway. * Anti-apoptotic proteins like Bcl-2 and Bcl-xl play an important role in inhibiting cytochrome c while pro-apoptotic proteins like Bak and Bid promote its release. * Caspase- 3 and 7 play an important role in inhibiting the repair of DNA when the process of apoptosis begins. They also promote the degradation of DNA. * Caspase- 6, also a proapoptotic protein, is involved in regulating the disintegration of such components as lamina and cytoskeleton. Apart from the already mentioned proapoptotic proteins, another group of proteins is released from the mitochondria later in the process when the cell has fully committed to die. This group of proapoptotic proteins includes CAD (Caspase Activated DNAse), endonuclease G, and AIF (apoptosis-inducing factor). The three proteins play an important role in DNA fragmentation. · AIF - Causes the fragmentation of DNA into smaller pieces (between 50 and 300 kb) as well as the condensation of peripheral nuclear chromatin. · Endonuclease G - This protein is involved in the cleaving of nuclear chromatin resulting in the production of oligonucleosomal DNA fragments. · CAD - Following cleavage of the nucleus DNA by caspase- 3, CAD activities result in further DNA fragmentation and heightened chromatin condensation. * While the intrinsic and extrinsic pathways are different processes, they ultimately converge on the same terminal. * Apoptosis point of no return - This refers to the point at which the cell is committed to die. This is the point at which caspases become enzymatically active. Like apoptosis, necrosis also results in the death of cells in multicellular organisms. That said, the two processes vary in their respective mechanisms and causes. Unlike necrosis, apoptosis occurs under normal physiological conditions with the cell itself playing an active role in its death (thus the use of the word "suicide"). As such, apoptosis is commonly observed in tissue homeostasis, the development of the nervous system, embryogenesis as well as normal cell turnover among other processes. As a naturally occurring physiological process, apoptosis may be caused by various external and internal factors. For instance, damage to the DNA or life-expectancy period of a cell (e.g. 120 days for red cells) is likely to trigger the apoptosis process. Moreover, the process is regulated/controlled and occurs through well-defined steps that result in the morphological changes of the cell. 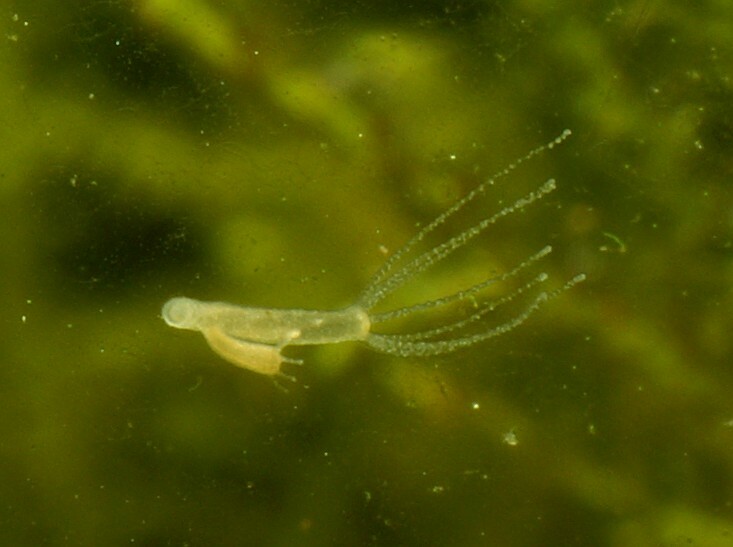 Necrosis is a different process that occurs as a result of various physical or environmental factors causing trauma to the cell. 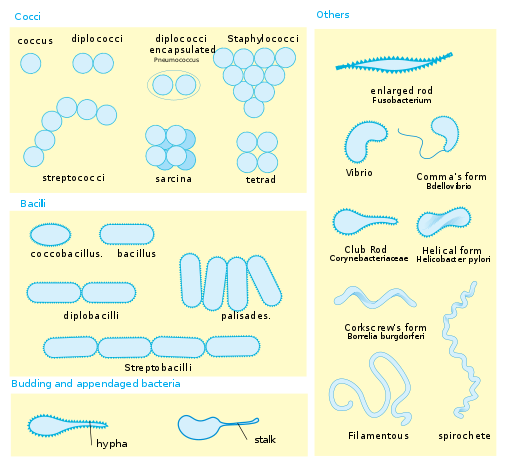 In the event of extreme physiological conditions such as hypothermia or damage to the plasma membrane caused by lytic viruses, necrosis occurs in which the cell and its components are digested. For this reason, necrosis has also been described as a pathological process that is triggered by such external agents as infections, toxins, and trauma among others. Necrosis is also different from apoptosis in that it is unregulated and tends to be accidental (resulting in premature cell death). · Coagulative necrosis - Caused by infarction or ischemia. In this type of necrosis, the shape of the cell, as well as the structure of the affected organ, is preserved by the coagulation protein for a few days. · Liquefactive necrosis - Typically caused by bacterial or fungal infections, this type of necrosis is characterized by the affected tissue becoming liquefied. · Fat necrosis - Occurs in injured fatty areas. In such areas, fat is replaced with oily contents resulting in a chalky appearance. During necrosis, the inability of the cell to maintain homeostasis is followed by an influx of water and other extracellular ions. This results in the swelling up of intracellular organelles followed by lysis of the cell. As a result, contents of the cell are released into the extracellular fluid. While apoptosis is an important process for metazoan cells, defective apoptosis can have a number of negative impacts on the organism (e.g. degenerative diseases and autoimmunity). Based on research studies, development and progression of cancer have been shown to be one of these outcomes. Excessive apoptosis may result in such conditions as degenerative diseases. However, too little of this process has been shown to cause cancer. Here, defects may occur during apoptosis resulting in malignant transformation of the cell and subsequent cancer development and progression. One of the main concepts understood to result in cancer involves genetic changes. Here, successive genetic changes transform a normal cell into a malignant one thereby resulting in the development of cancer. In the case of reduced apoptosis, the process may cause changes to the genetic content of the cell. In such cases, given that apoptosis does not completely kill the cell, genetic content of the cell may be transformed (genetic alterations) contributing to carcinogenesis. In the intrinsic pathway, it is the over-expression of Bcl-2 or Bcl-xL that has been associated with well over half of all cancers. For the most part, the treatment of cancers caused by defective apoptosis has involved the use of strategies that restore apoptotic signaling pathways to normalcy. Andreas Gewies. (2003). Introduction to Apoptosis. ApoReview. Andreia Dóris Pedras Rodrigues. (2010). Functional characterization of purified vacuoles and evaluation of their role in yeast apoptosis induced by acetic acid. Apoptosis and its significance. Hanuman Prasad Sharma, Paras Jain and Patnaik Amit. (2014). Apoptosis (Programmed Cell Death) -A Review. ResearchGate. Lakna Panawala (2017). 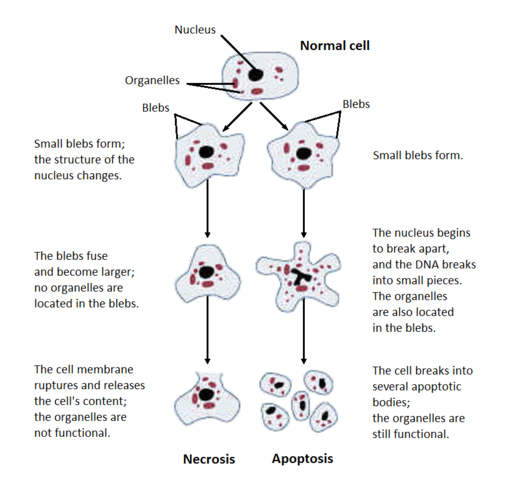 Difference Between Apoptosis and Necrosis. ResearchGate. Susan Elmore (2007). Apoptosis: A Review of Programmed Cell Death. .ncbi.nlm.nih.gov.